Chef-owner Scotty Schwartz has had a long love affair with Tex- Mex food, dating back to his childhood. The quest continued and before he and partner Jose Solome opened El Hefe Chef Schwarts traveled back to Texas in search of the best of the best of Tex- Mex he could find. Once home the testing, tweaking, and getting it just right took place, and El Jefe was born. Now that all the hoopla has died down I spent a quiet late afternoon enjoying what I thought was one of the most enjoyable Tex- Mex dinners I have experienced here in Jacksonville. The interior with its large room offers a Cantina look and feel and it perfect for large groups. I prefer the bar seating; it allows me to talk with the staff and still see the activity. 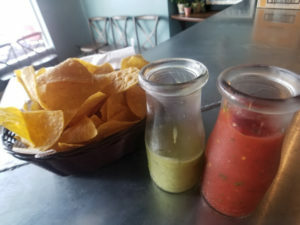 I started with the classic Chips and Salsa, served in small carafes that added a nice touch. The Red was quite tangy the Verde a softer flavor yet very rich and smooth. I could not choose a favorite here. The next option the Queso Fundido, a dish I was not familiar with but now resides on the top of my appetizer list. Served in a piping hot iron fry pan with a zesty broiled Jack cheese, roasted poblano, fresh flour tortillas with avocado salsa verde. Think cheese pulling when you tackle this delightful dish, wrap all the cheese goodness around the tortillas and expect to be amazed. 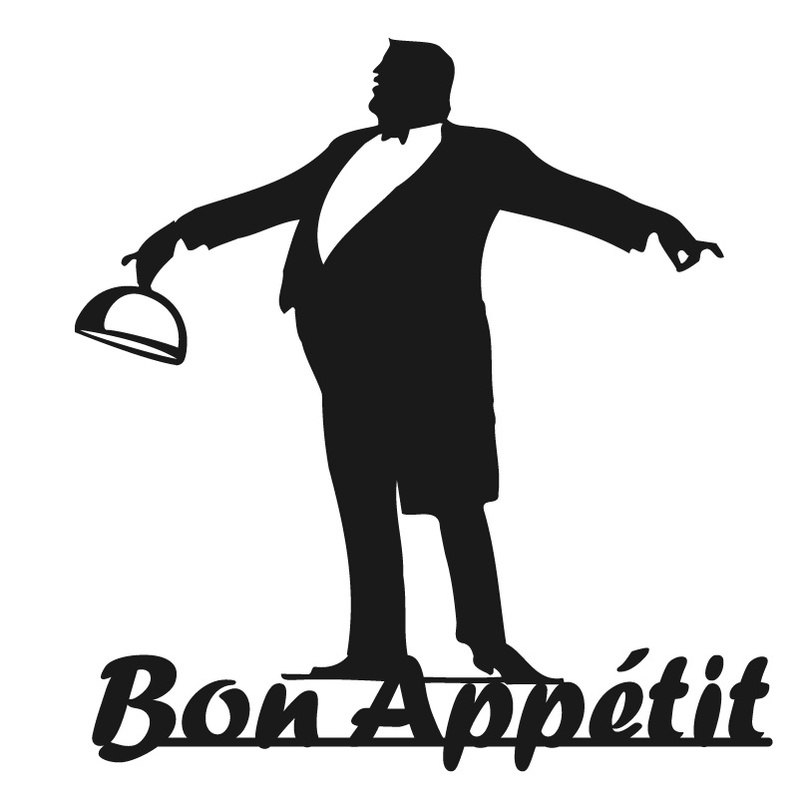 After looking over the other options, I selected Chicken Verde Enchiladas with rice and beans plus a small cup of Posole Verde, a pork hominy stew with avocado radish and pork rinds. There was nothing to regret about either order, chicken tender and flavorful, the sauce was tangy and plentiful, rice and beans added a spice boost. I had to ponder over the Posole Verde, it was tasty with a right balance of flavor, but texture wise I don’t believe it’s my dish. My last stop on the menu the Postres Section, my favorite is always the Sopaipilla, but they seldom appear on any lists, so I went with my second choice the Flan con Coco. This choice was not a mistake, so I quickly forgot about the delicious fried dessert I was longing for and dug right into the dish in front of me. Heavy with sweet cream and coconut I was sated by the time I finished. 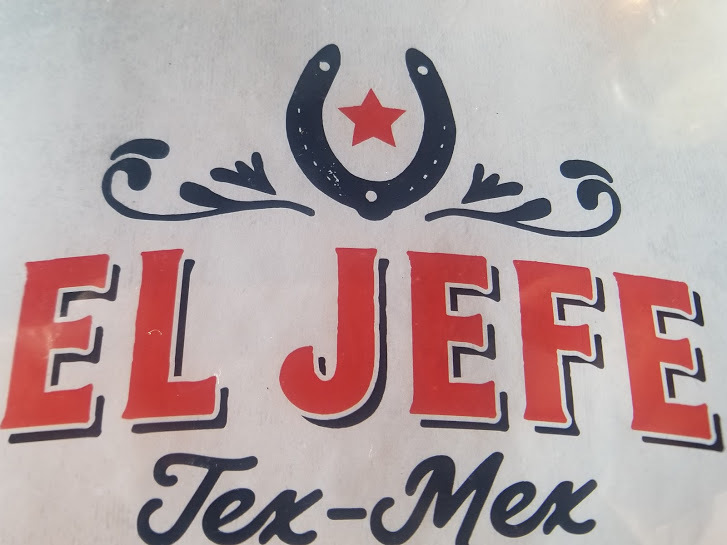 While Tex- Mex may not be high on my cuisine list, I would undoubtedly go to El Jefe if invited, and if my friends were looking for some authentic Tex- Mex, I would put this restaurant on the top of the list.